Once upon a Deadpool received another teaser recently. You may ask, what exactly is Once upon a Deadpool? Is it a new Deadpool Xmas movie? Will it be coming to South Africa? And why is it PG13? So here are a few answers. 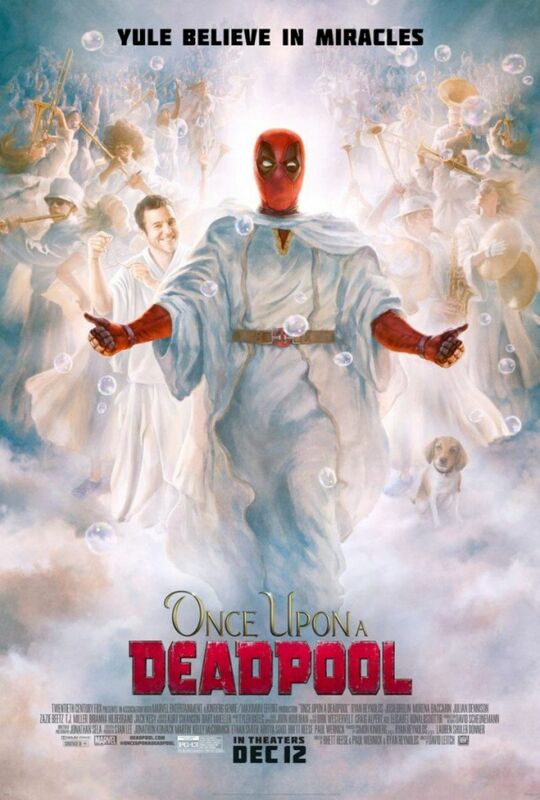 Once upon a Deadpool is a toned down version of Deadpool 2, cutting out the excessive swearing, violence and the rest of the naughty bits. Why oh why would you want to do that to the Merc with a Mouth? As Deadpool (Ryan Reynolds) so succinctly puts in the skit below (done alongside Fred Savage who revisits his role in The Princess Bride), it’s because it’s, “A family movie, also Disney, also money”. According to Bustle, the reason for the PG13 release of a movie that already had a run in the theatres, is that PG13 means kids can go see it and that Disney can sell more merchandise. It also opens up the movie to the Chinese market, which up till now has not allowed Deadpool and friends on screen. Once upon a Deadpool will donate $1 out of every ticket sold to go to F*ck Cancer, a charity picked by Ryan Reynolds. If you couldn’t attend the 2-18 screenings of Deadpool 2, there’s some good news, since Once upon a Deadpool will actually be coming to South Africa, and according to our somewhat outdated schedule, it’s set for release on the 21st of December. That’s great news if you weren’t particularly interested in Aquaman, which is also set for debut that week. Hit play on the number of teasers and trailers we’ve posted below.